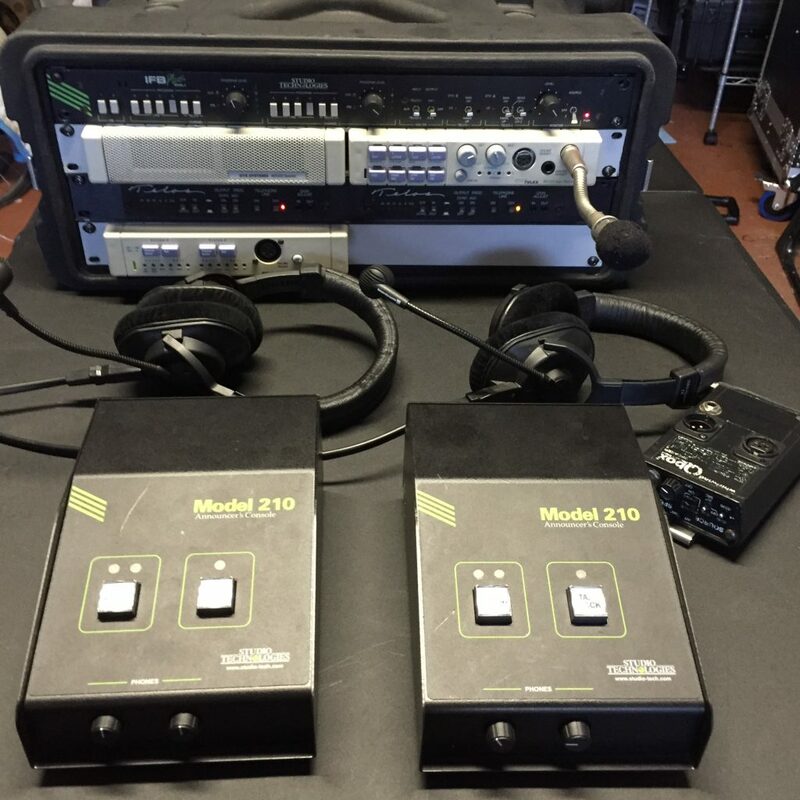 Sports, cultural, competitive events, podcasts, that require analysts, play by play, descriptive, translation or interperative services are supported with Studio Technologies 210 announcer consoles and Beyer Dynamic 290 headsets. The consoles have IFB and line input kits with cough/mute buttons and talk back buttons. Phantom powering is available for condenser microphones. This entry was posted in Broadcast Audio, Equipment, Podcasts, Sports, Web Audio and tagged analyst, analysts, Beyer Dynamic 290 headsets, color commentator, competitive events, cultural, descriptive, interpretative, play by play, play-by-play announcer, podcasts, shoutcaster, sports, sports announcer, sports commentator, sportscaster, Studio Technologies 210, translation. Bookmark the permalink.